and the white of the daisies. Three chickens died this week. their bodies, following the dog. Deborah Alma is Honorary Research fellow at Keele University. She has worked using poetry with people with dementia, in hospice care & with vulnerable groups. She is also the Emergency Poet prescribing poetry from her vintage ambulance. 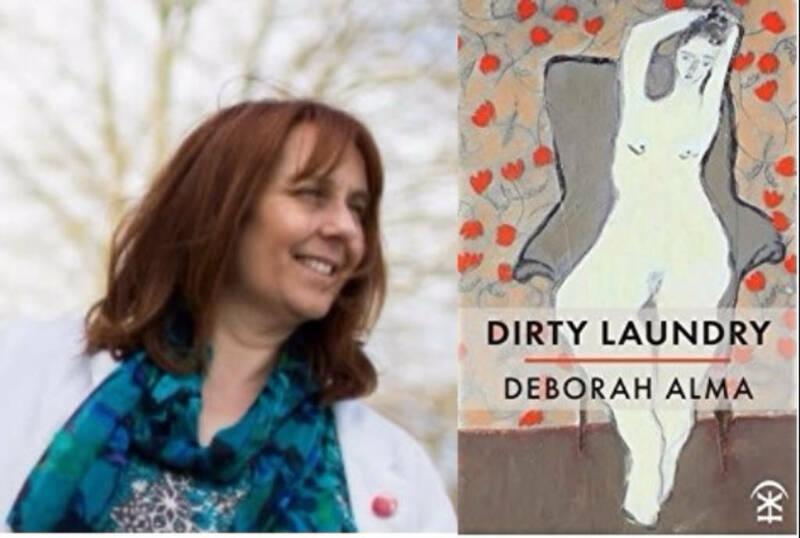 She is editor of Emergency Poet- an anti-stress poetry anthology and The Everyday Poet- Poems to live by (Michael O’Mara Books) and #MeToo, Fair Acre Press. A pamphlet True Tales of the Countryside is published by The Emma Press and a full collection Dirty Laundry is published by Nine Arches Press.